Arsenal Inc. the exclusive licensed US manufacturer of the finest, most authentic semi-automatic sporting rifles. Available from Cordelia Gun Exchange! 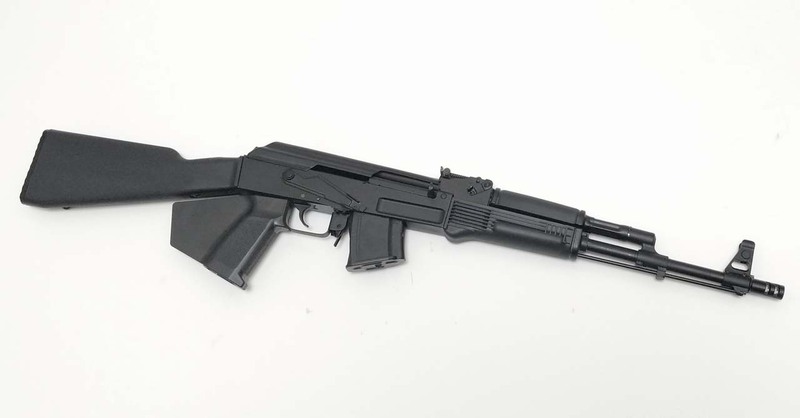 California Compliant Arsenal SAM7R 7.62×39 Rifle AK47. Available from Cordelia Gun Exchange. Today, Arsenal continues to make provisions for all three sectors. Since its inception, Arsenal Inc. has manufactured and imported more than 25 versions of rifles and pistols. And with each, preserved the old-world firearms craftsmanship while adding in modern day technological advances that make the company’s products top-notch. SAM7 AK milled from a hot-die hammer forged receiver blank by the Arsenal Co. of Bulgaria. Other milled-receiver AKs machined from bar stock, but Arsenals hot-die hammer forging produces stronger and finer-grained steel. Internal voids and cooling deformations are eliminated by the 5-ton hammer forging process.